I really love the sea, the Black sea, perhaps because I live very far from it. I prefer it for my summer holiday. In the same time, I am quite interested in visiting other places, even for a while – to examine them, to feel the atmosphere there, and to compare. Some time ago we had the opportunity to go to the coast of Croatia. 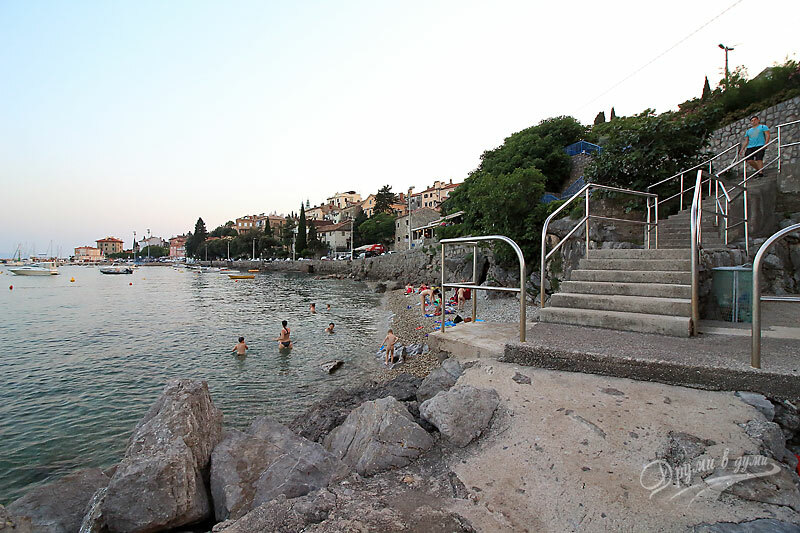 We stayed for an evening in Opatija – a pompous little coastal town on the Adriatic sea. Let me take you there for a while. You may also like it. 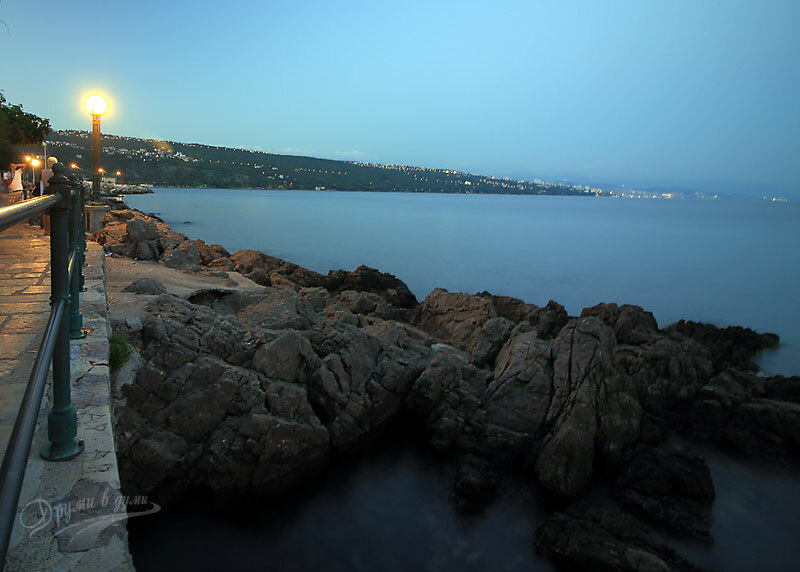 We had a wonderful night in Opatija. We were returning by car from Venice, Italy to Sofia, Bulgaria. 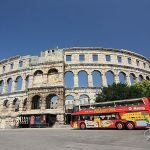 We wanted to ease a bit the long and hard road and this is why we decided to stay for a night in the area of ​​Rijeka – the Croatian sea capital. 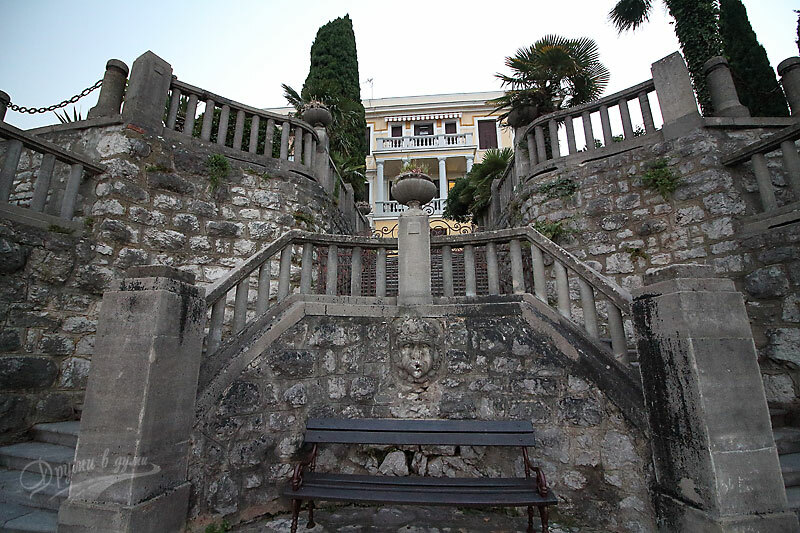 After a short study, we opted for Opatija to avoid the fast-paced rhythm typical of the big city. 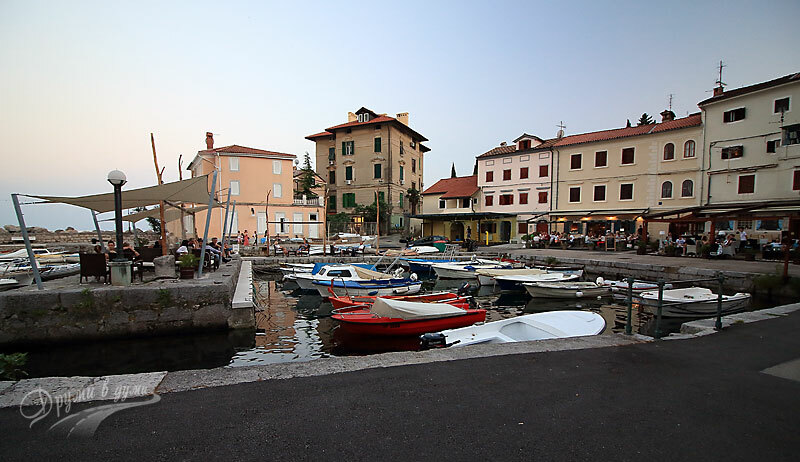 We arrived in Opatija in the late afternoon and we hurried to settle down. We had booked a room in a guest house – Villa Martina. The room was nice and spacious with a wonderful view of the sea. We settled down, unloaded the luggage, put the swimsuits, and stepped down to the beach. 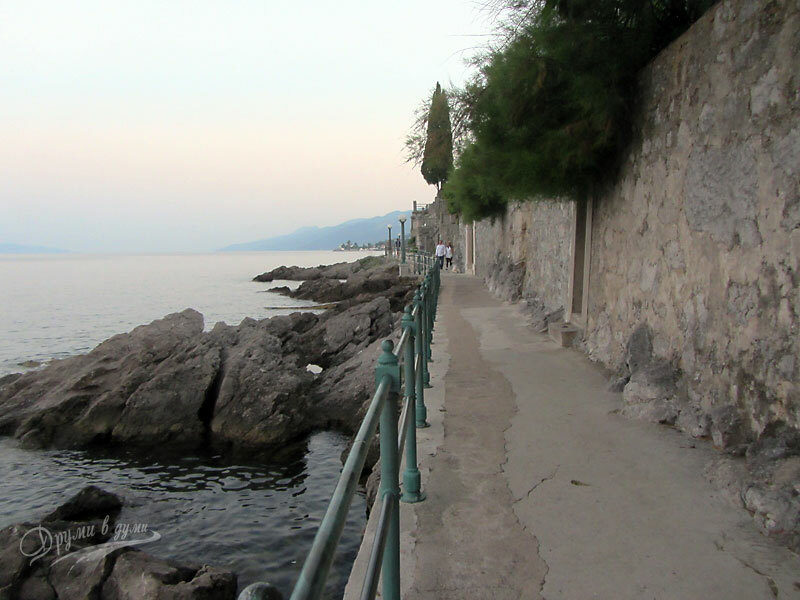 In Opatija, the shore is tall and rocky, and the streets are quite steep and narrow. In general, it is hard to park along the street, but there are also several small free parking spaces. Fortunately, one of them was near the Villa Martina. So, on the beach. There was no sand, only concrete. But it was clean and with playgrounds made for comfortable beaching. Even there were showers … but not for free, unfortunately. We hurried to bathe in the sea and to swim. It was nice. The water was clean and fairly warm. After the beach we headed for a pleasant walk along the promenade. Besides the restaurants, on the first line to the sea along this promenade there were quite large and beautiful houses. All of them were in a typical Mediterranean style. Some of the houses were well maintained and apparently inhabited. Others were neglected a bit. We walked, looked around, took pictures. It was interesting – another city, another country. For dinner we stayed at a beachfront restaurant – MOHO. We ordered salads and vegetable skewers. Everything was very tasty. The service was also good. Although the restaurant was full, our food was served without delay. Besides, the restaurant was not expensive. 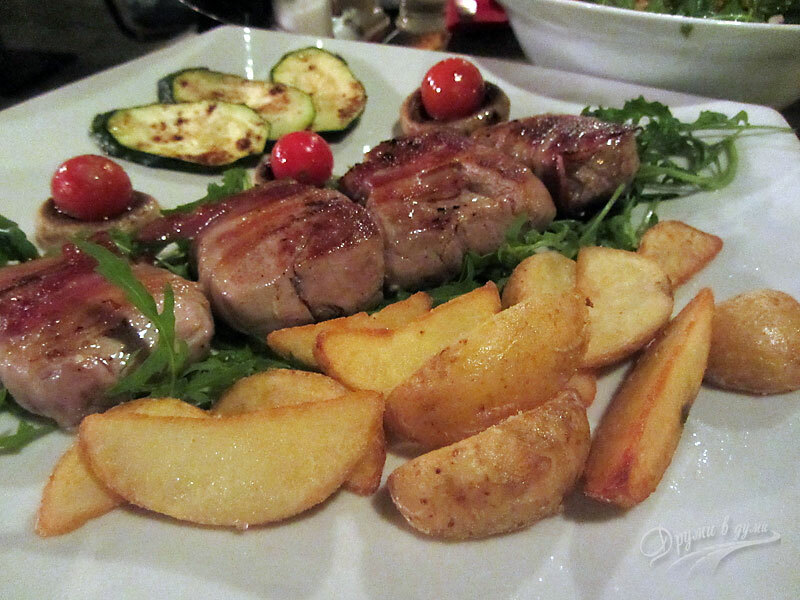 We managed to eat well for about 15 euros per person. 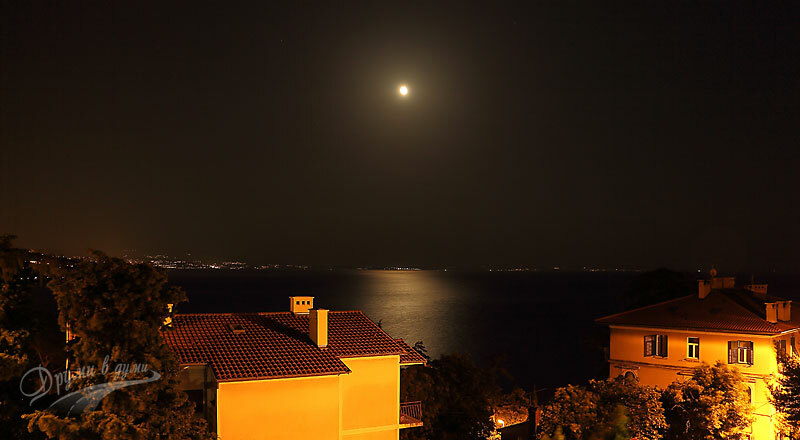 A bit later, in the room, we were awarded with amazing sea view again, but this time everything was covered in darkness … which did not prevent it from being beautiful, even on the contrary!